Ms. Rice earned a Bachelor of Science in Business Education from Missouri State University and a Master of Arts in Educational Leadership and Policy Studies from the University of Denver. Ms. Rice has five years coaching experience with varsity girls basketball, varsity girls soccer, and girls and boys soccer in Bolivia during her time teaching and athletic directing in South America. 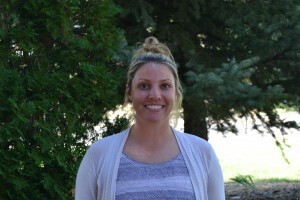 She most recently spent three years at Denver Center for International Studies at Montbello serving as the Career and Technical Education and Electives Team Lead and Athletic Director. Ms. Rice loves sports and the outdoors, and has found that traveling is the best way to learn about yourself and other cultures. She also has a passion for helping to support students in combining academic success with athletic success. Ms. Rice is very excited to be joining the TJ team, and looks forward to getting to know all the students, staff, and families of this wonderful community.